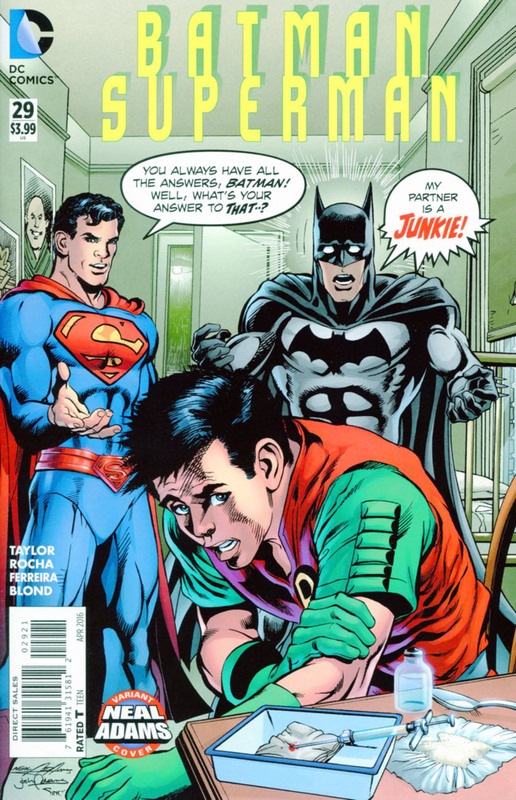 Batman and Superman continue their investigation of the murdered lizard-alien. Before her death, she left both Batman's and Superman's symbols etched on the moon's surface. Also, in her possession is information that supposedly leads to another Kryptonian. Then, much to the heroes' surprise, the alien's father comes out of nowhere to collect the body of his dead daughter. Her name is Mylara. As the giant alien boards his space ship, Superman and Batman follow. They query Mylara's father. He tells them that the place Mylara had found another Kryptonian was in a place called Scorch Space. It is a place filled with the solar radiation from a yellow sun. Superman goes to find his fellow Kryptonian. Batman stays behind to further investigate Mylara's death. But it soon becomes apparent that Mylara's father is up to no good. He is, in fact, working with Lobo. Lobo, bounty hunter extraordinaire, has been hired to capture/kill The Batman. Lobo thinks it's going to be easy. He finds that... well... not so much. Lobo not only looses his ride, but half his face. Meanwhile, Superman finds that his fellow Kryptonian is being used as an energy source for some alien race. The man is obviously in bad shape. Superman rescues him, and the aliens, affronted by the loss of their reactor, give chase. But even this saved alien seems to be against our heroes. The aged Kryptonian pulls out a slab of Kryptonite causing Superman to cry out. 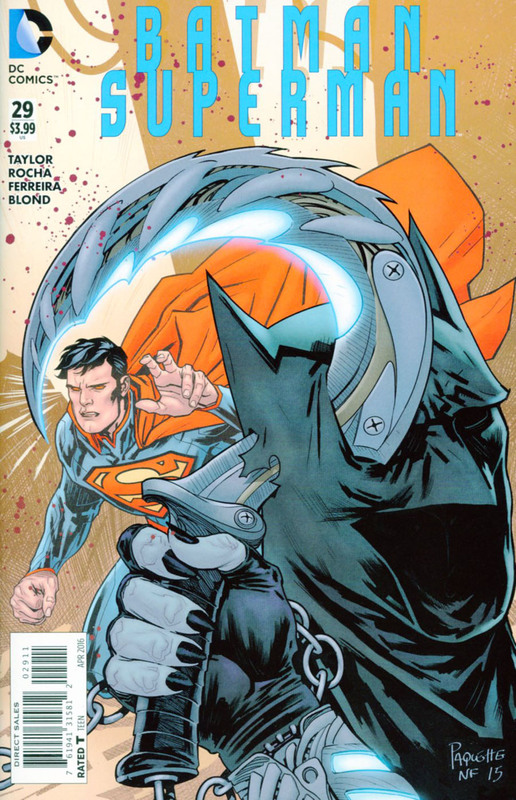 Story - 5: The Good: This is a classic Batman/Superman story. They are embroiled in a great murder mystery. There's fun banter, smart moves, evil villains, and several turns that you don't see coming. It's just plain old good fun. And there's an ending that leaves you wanting more. Oh, and there's 'Banana Muffin.' Corny? Yes. But it brought great joy to this geek's heart. The Bad: Nothing to report here. Conclusion: Two words - Banana Muffin. Best thing ever. Art - 5: I wish I could give the art in this book a '10'. The splash page of Superman hovering over Scorch Space alone is worthy of praise and adulation. But every page, every character expression, every scene moves the story forward and arrests my attention. I also love the colors used in this issue. They fit this style of Batman/Superman story. Fun and hopeful. Cover Art - 4: I love the cover art, but I have to give this one a '4'. It's definitely not bad, but on first glance I was a bit confused. I didn't immediately know what was in the foreground of the picture. It took me a moment. Then, I realized, oh, 'It's Lobo's black finger nailed hands holding a scythe.' Nice image, but it should have been Batman in the background, not Superman.